Part 2 - The Master Template. 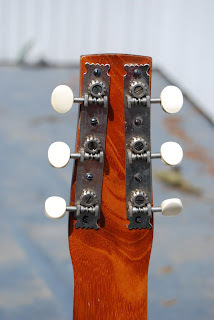 Unlike the regular production models I make, the new Solid-Neck model is the first to be made without an instrument I own or have had through the shop for restoration or repair. 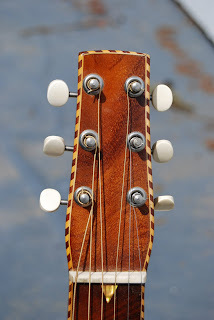 Typically, I have my patterns and notebook which have the details and specifications for each model, and then the master template - the vintage guitars themselves which are a constant reference in terms of musicality and feel. However, with this instrument I am extremely honored to be collaborating with Tom Noe, who has put together a remarkably detailed set of plans, and comprehensively photographed the instrument, which have been made into working patterns and molds. 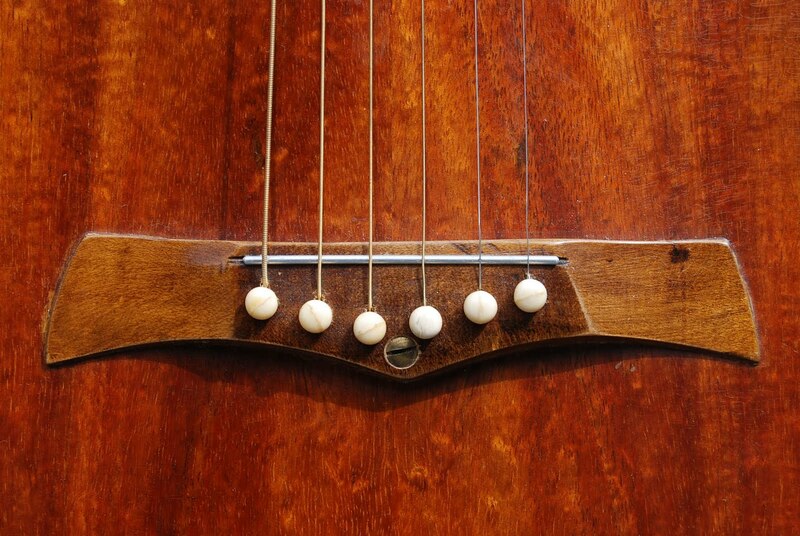 "I tuned the solid-neck Weissenborn up and played it only once because it looks like it just came out of Weissenborn's shop and doesn't have a mark on it, and I want to keep it that way. It sounds beautiful! 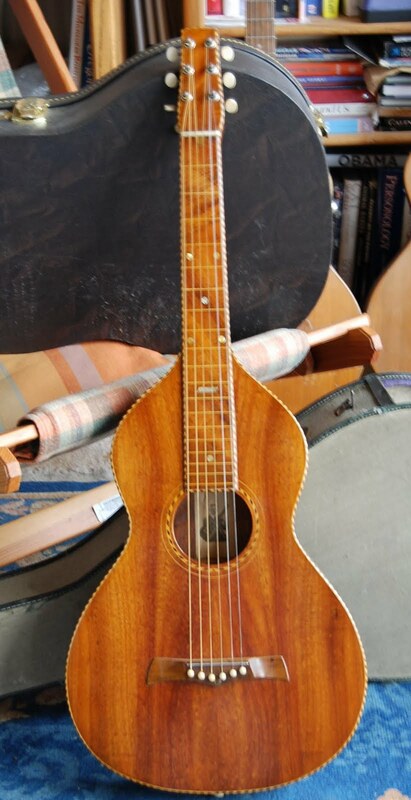 I bought it from Red Bower, a vintage guitar shop owner in Idaho in 1992. 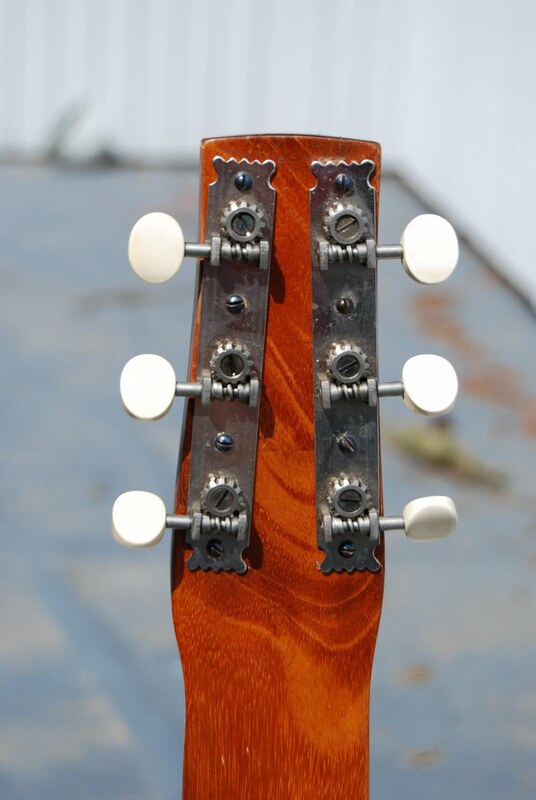 He had the guitar for over 15 years and occasionally displayed it, but never let anybody touch it. I had heard of "Red's Style 4" and many had tried to buy it from him. I was told that he would part with it. But Red and Dan Most were good friends, and Dan had bought a few Knutsen harp guitars from Red. We were over there one day, and Red decided to sell it to me. That and a Style C Weissenborn that he had. The story on the solid neck was that an elderly lady had brought it in to Red's one day. Her husband bought it when he returned home from WWI. 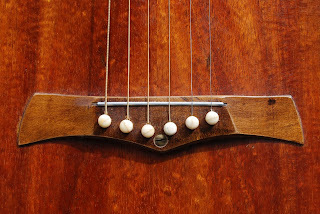 He couldn't get the hang of finger picks and the flat bar in vogue those days, so the guitar went into the back of a closet where it sat for over five decades. That's why the guitar is so special to me. Other than showing it in the book, I keep it hidden away and don't show it to anybody. Until now. 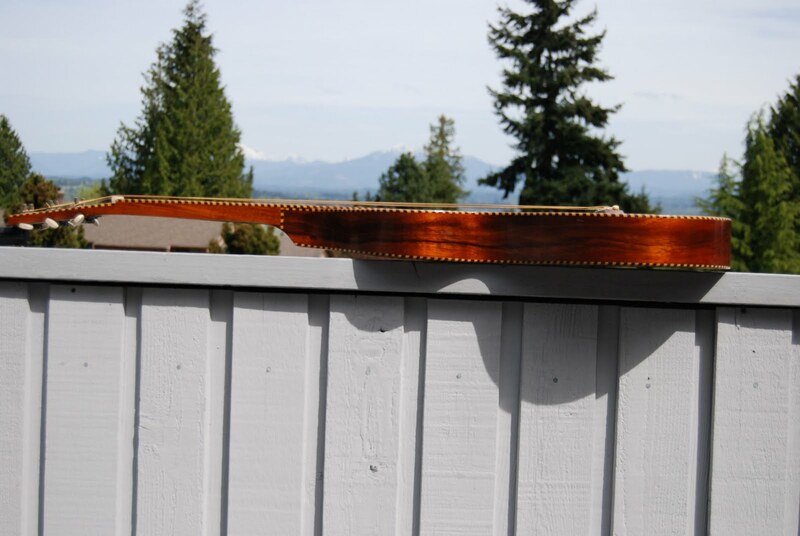 From the attached photos, you can see its vibrant colors. Some of the detail was lost in the book photo because I took the photo with a film camera and then had the print scanned." 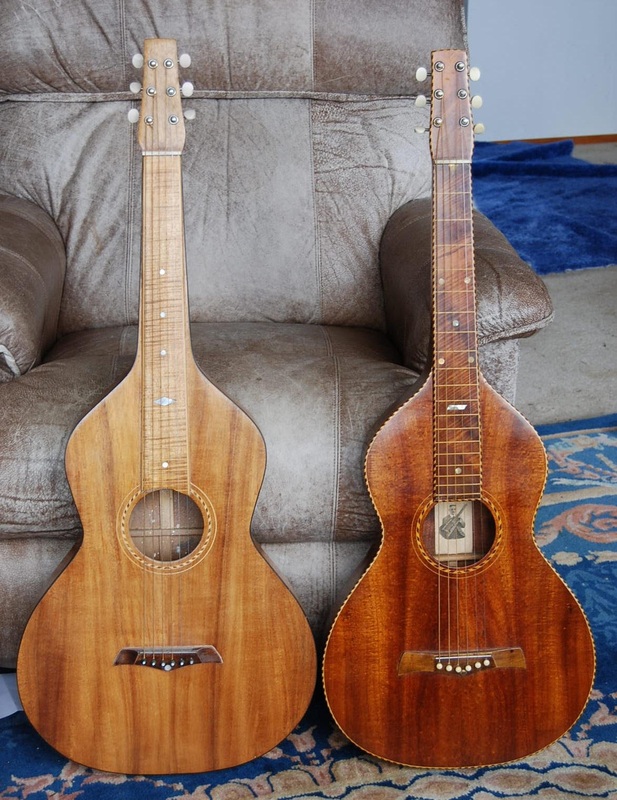 Circa 1928 production model and pre-1920s Solid-Neck compared. 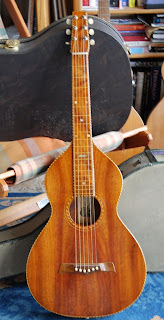 As Tom mentioned in his book, the Solid-Neck is a much smaller instrument overall. Profile view. You can see here that the Hawaiian vault is almost non existent, yet remains very graceful as the body forms into the neck. 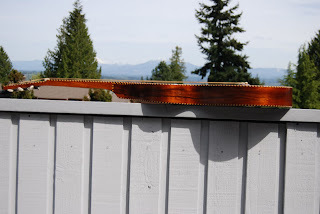 The body is only 2.5 inches at the tail block. 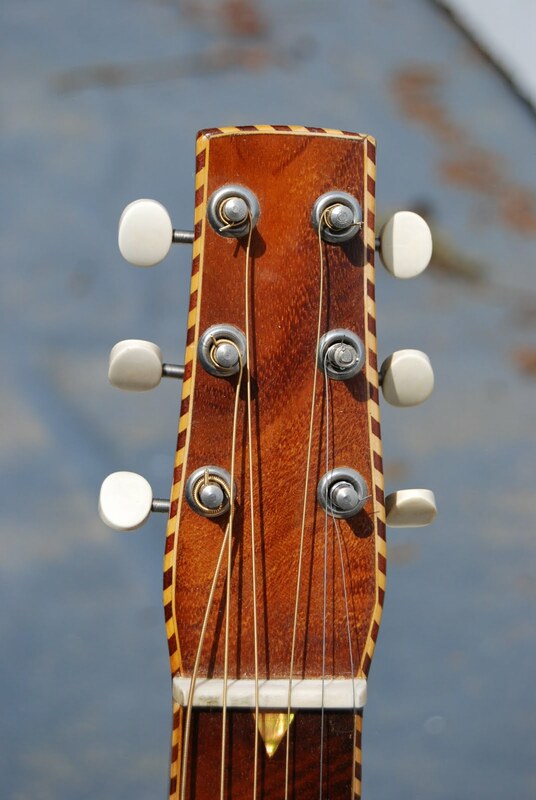 Waffle end slot head tuners.